Pre-session phone or email consultation to answer your questions regarding the upcoming session, including outfit choices and any concerns you might have. Professional hair and makeup provided in studio by my stylist. Photo shoot up to 2 hours in my boutique studio located in historic downtown Statesville, NC. On location sessions are available as well at the location of your choice. Same day image preview and ordering session (studio sessions only). Once your session is finished we will take a 60 minute break when you can grab a bite to eat or take in the shops downtown and I will prepare your images for your preview and order session when you return. Cost to you: $200.00 retainer fee. A $200.00 non-refundable retainer is due to reserve your session date and time as well as the stylist for your session. This fee will be credited toward any collection purchase at the time of your ordering session. Please note that if you book a Saturday session there will be an additional $200 session fee. I am currently offering 4 packages starting at $499.00. 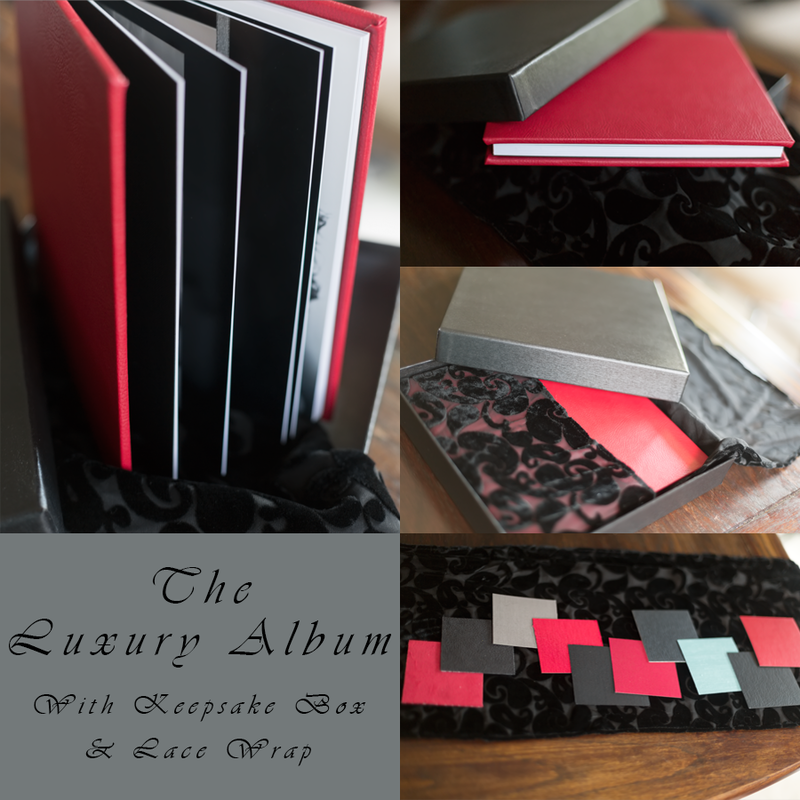 Each package includes all of the above mentioned items plus a custom designed 8x8 black leather album. 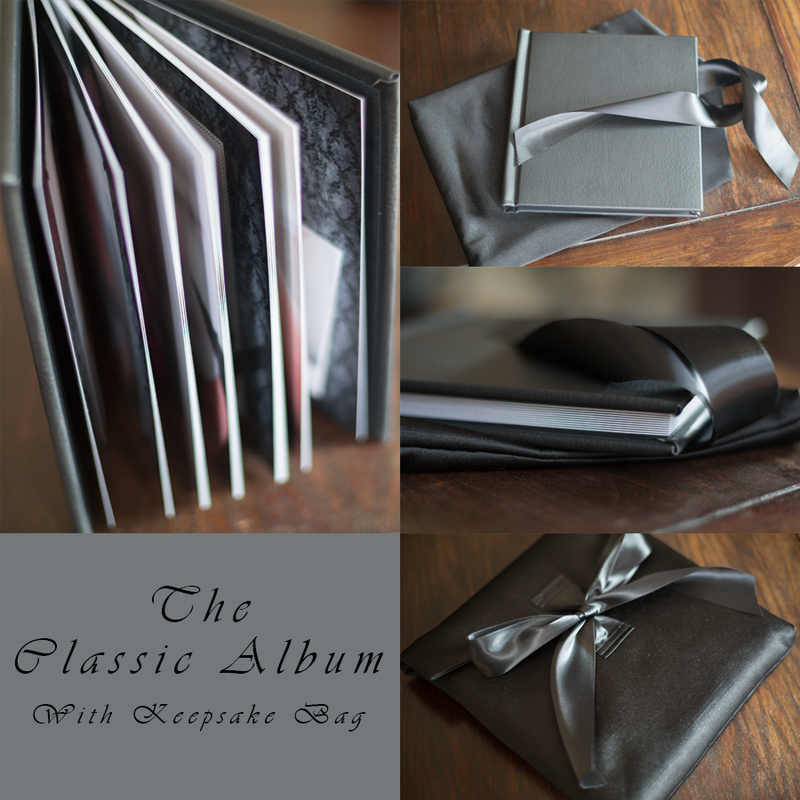 Classic black leather 8x8 album.